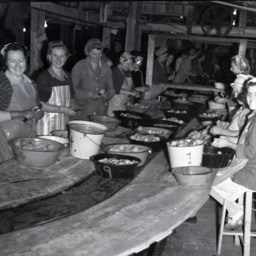 Photograph of a group of women working to can peaches at a commercial establishment. The identies of the workers and their location is unknown. 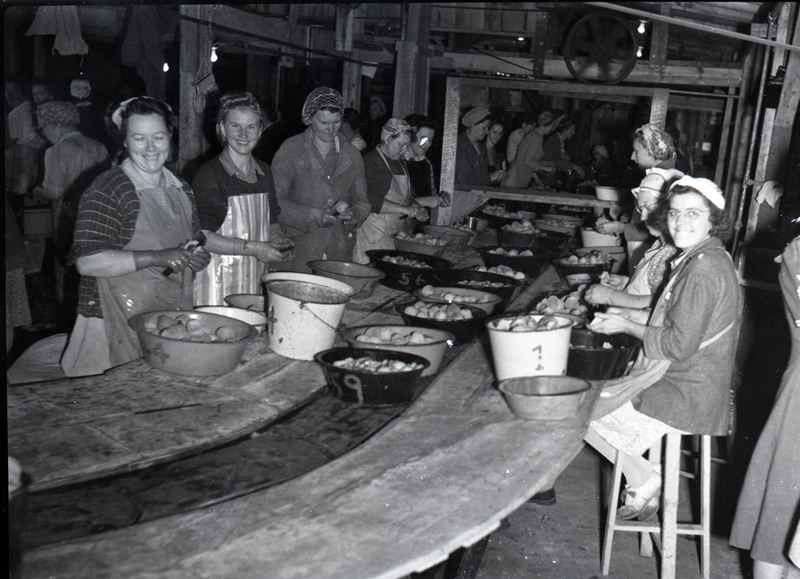 Unknown, “Canning Peaches,” Shenandoah County Library Archives, accessed April 24, 2019, http://archives.countylib.org/items/show/12063.